No need to make a GP appointment, you only need to register once and your medicines will be ready when you need them. To nominate a Pharmacy Care Plus branch to dispense your prescriptions by EPS simply download and complete the Repeat Prescription Form above. You do not have to have your prescriptions sent from your doctor to your pharmacist using the EPS but, if you choose to have paper prescriptions, you cannot choose to have your prescriptions sent automatically to a particular pharmacy. 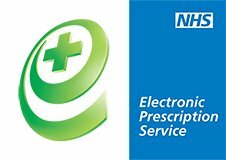 If you choose to have your prescriptions sent to Pharmacy Care Plus via the EPS, your prescriptions will be sent here automatically. If you wish to make an alternative arrangement, for example, if you are going on holiday, you will need to tell your doctor. If you choose to have your prescriptions sent via the EPS to Pharmacy Care Plus, the pharmacist here will be able to access your prescription in advance of your visit, so that it may be ready when you come to collect it. If, however, you choose to collect your prescription from another pharmacy, then there may be a delay in preparation of your prescription. Please note that, if you have any prescriptions for appliances, these may be sent from your GP to an appliance contractor, instead of Pharmacy Care Plus.